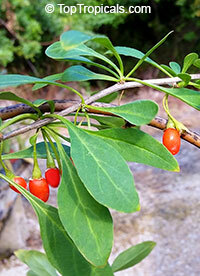 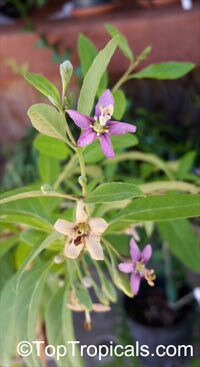 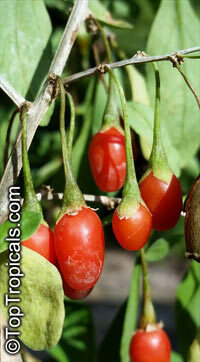 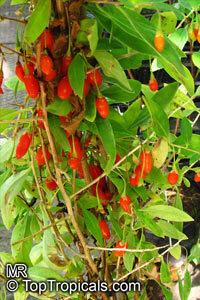 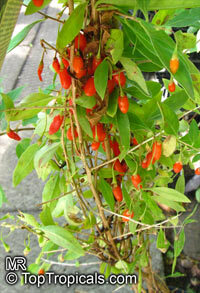 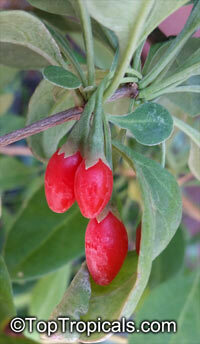 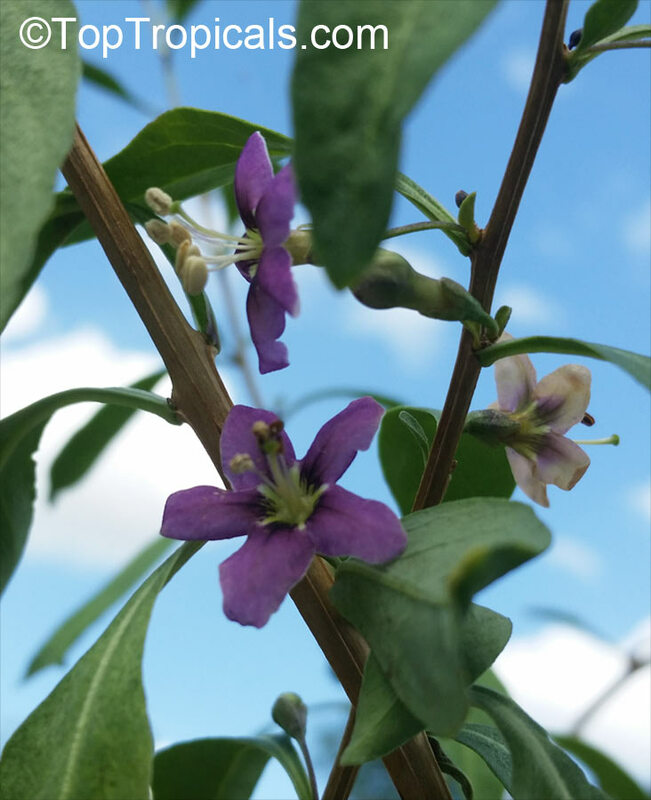 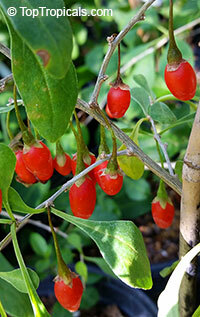 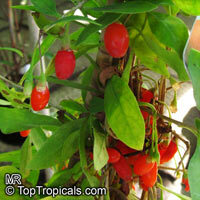 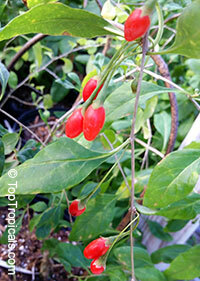 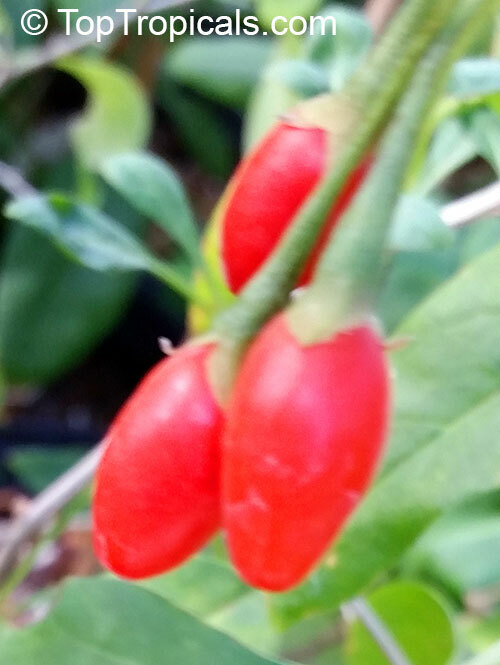 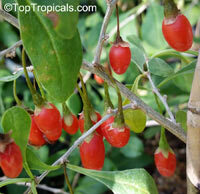 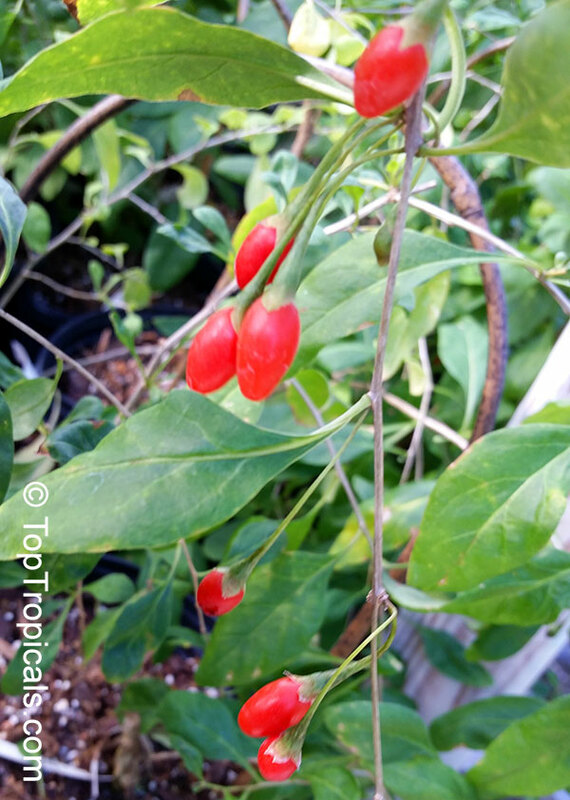 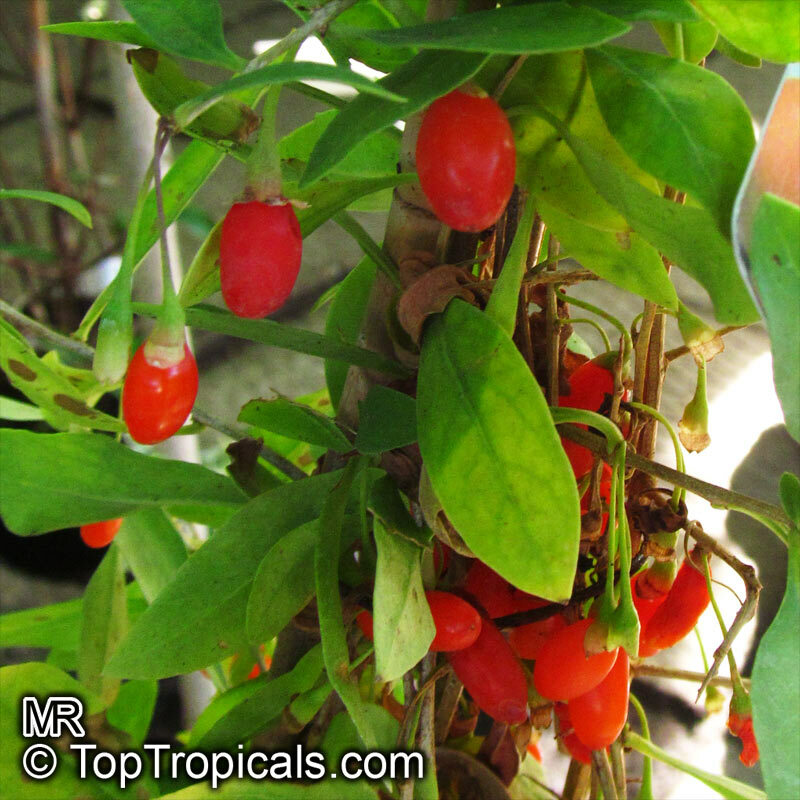 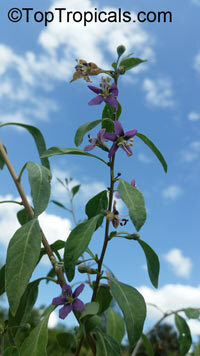 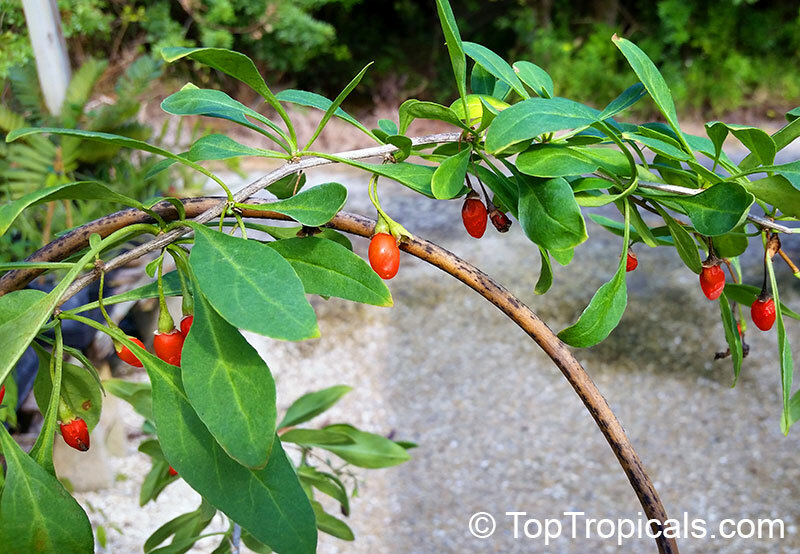 Goji berry is the common name for the fruit of two very closely related species: Lycium barbarum and L. chinense. 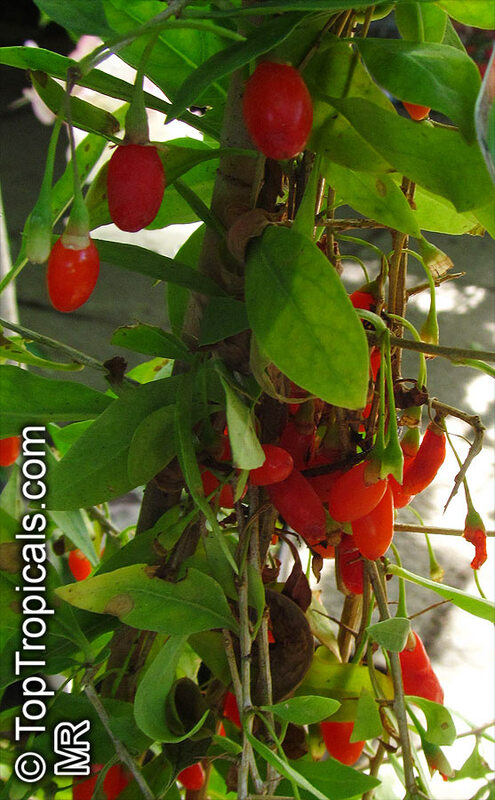 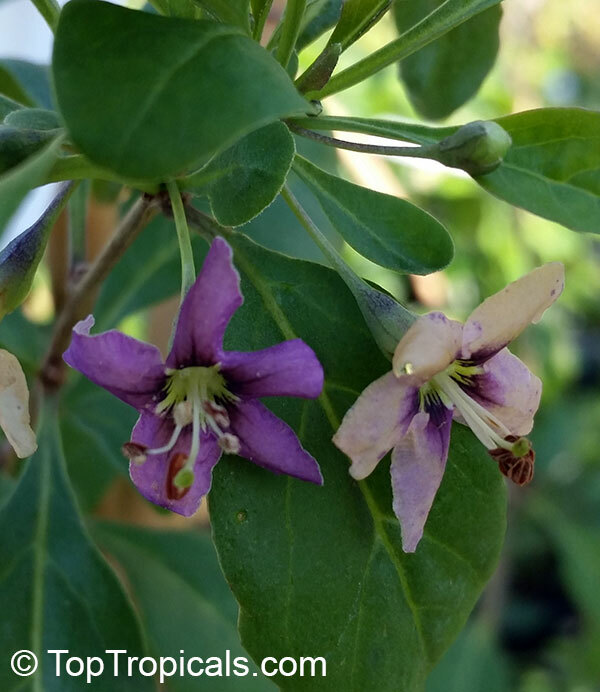 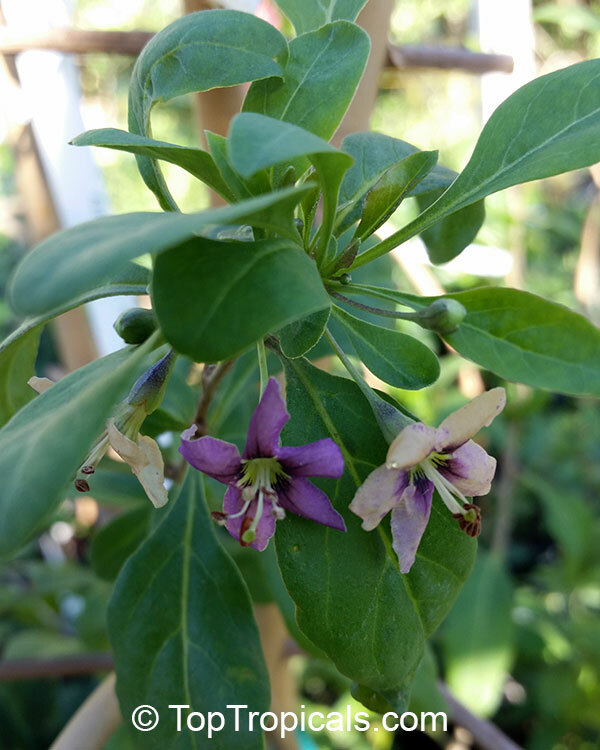 The plant produces a fruit that is often used in health foods and supplements and known for powerful antioxidant properties and potential benefits for cardiovascular and inflammation. 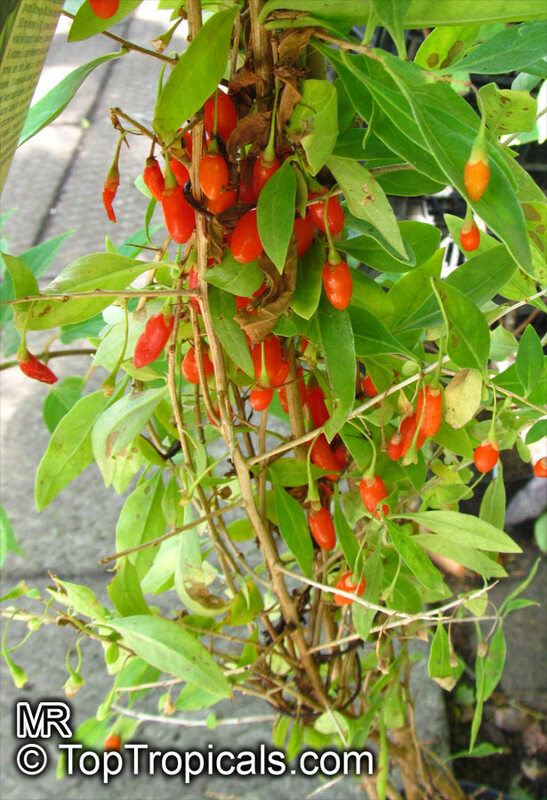 The majority of these plants are grown in the north central part of China. As a food, dried wolfberries are traditionally cooked before consumption. Dried wolfberries are often added to rice congee and almond jelly, as well as used in Chinese tonic soups, in combination with chicken or pork, vegetables, and herbs. 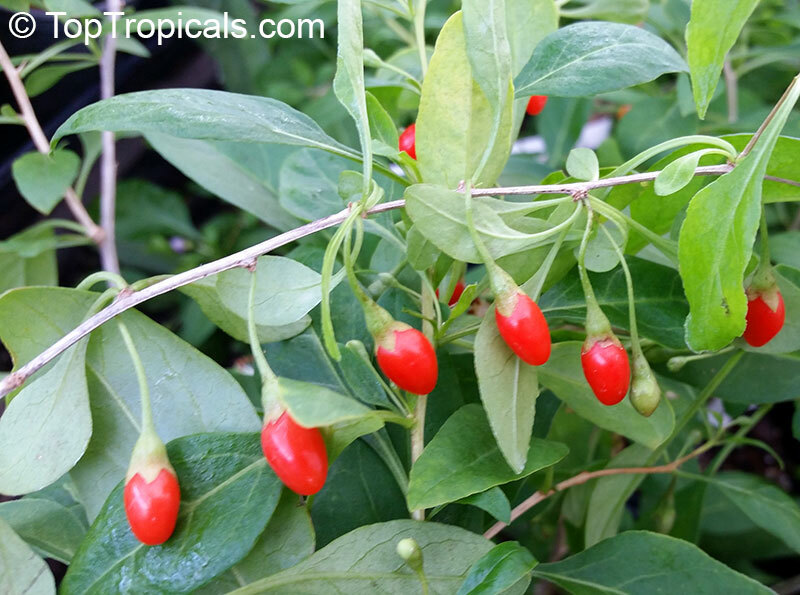 Goji juice supposedly has extensive biological effects and health benefits. There has been rapidly growing attention for wolfberries for their nutrient value and antioxidant content, leading to a profusion of consumer products. 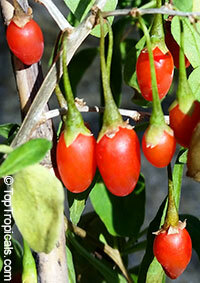 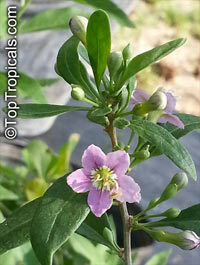 Such rapid commercial development extends from wolfberry having a high ranking among superfruits. 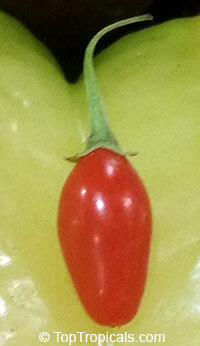 In the northern hemisphere, flowering occurs from June through September and berry maturation from August to October.